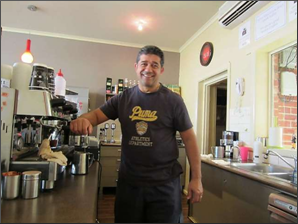 Community Corner - Featured Local Business - Café Crèma. Dinosaurs are one of the most collectable and intriguing life forms to have existed on Earth - their unique and surreal past makes them a favourite with adults and children alike. The Dinosaurs Unearthed Collection is a collection of 14 dinosaur models that are available with the purchase of the Herald Sun each day from Sunday 3 February to Saturday 16 February 2013. The collection includes all your favourites from T-Rex to Triceratops. PLUS each dinosaur model comes with its very own fact sheet and a free album to keep them all in! 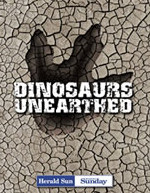 The Dinosaurs Unearthed Collection is available to order as a complete collection for just $26 with tokens from the Herald Sun. The complete Dinosaurs Unearthed Collection may be ordered in-strore at Patterson Road Tatts, News and Post or online at www.pattersonroad.com.au/dinosaurs. 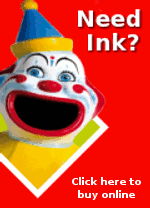 It’s quick and easy to top up your myki card at Patterson Road Tatts, News & Post. If you do not have a myki card we’ll be pleased to help you out. Located at 45 Patterson Road, just a few doors from Patterson Road Tatts, News & Post, Café Crèma is very popular with locals and visitors to our neighbourhood. Café Crèma is open for breakfast and lunch from Monday through to Saturday. Be sure to call in to Café Crèma and see what our customers are raving about.